The Indian summer season can be very traumatizing if you do not have the right equipment and tools to keep your home cool. I have hence compiled a list of the very best standing pedestal fans in India. Our experts have painstakingly reviewed 100s of products, their technical specifications and user reviews to come up with this concise list of best pedestal fans in India. During the summers, your regular ceiling fans might just not be enough. When you come home from the heat, you need something like a pedestal fan to give you a much required powerful cooling effect. The best advantage of buying pedestal fans is the that they are comparative lightweight and mobile. You can move them around in your home as and when required. You can use them in your kitchen area in the afternoon, the living room in the evening and in your bedroom a night. Nowadays most good pedestal fans also come with remotes, so that you don’t have to get up to switch on/off or change the fan speed. We have made a table below depicting the winners of our study to find the “Best pedestal fans in India”. This will make it easy to go through the best fans without reading the detailed review. We have also provided you with links to sites where you can compare prices and buy them instantly online. Usha has been a well-known name in the fan business for years. They are amongst the top-selling brand in this industry. They offer a wide variety of fans but Maxx Air Comfy is one of their best selling fans. The fan has a premium look. The design is standard but the quality of build is really good. The buttons are easy to operate. This fan will look well in almost any room setting. There is hardly any noise apart from the air hitting the grill. You can easily use this fan for hours without any problem. The blades are aerodynamically designed (400 MM Sweep). Gives good air circulation. The fan is equipped with a remote. It comes with 3 fan speed adjustment and 7.5 hours programmable timer. You can also select amongst three different modes of operations. The fan comes with a 2-year company warranty. 2. Usha Helix Pro – Best High-Speed Pedestal fan in India. This fan is again by the brand Usha. This fan looks really good with a fresh blue and white colour combination. The colours alone can easily cheer you up in the hot afternoon. Listed below are the key points. The power of the fan is amazing. You can easily use it bigger rooms or open spaces like gardens or terraces. The fan is light-weight and you should not have any problem carrying it around. The power consumption is higher compared to the fan we mentioned above. This fan is suitable if you have a big room or planning to use it outdoors like on your terrace or garden. The fan comes with a 10-day replacement guarantee if you receive a damaged or a defective piece from Flipkart. There should be no surprise that all three of the pedestal fans we have reviewed so far are from Usha. They have strong established themselves as a leading brand in this segment for years now. Usha Mist Air Duos pedestal fan is clearly a value for money. You get a very good quality product at a very affordable price. This fan has the lowest power consumption amongst all the fans reviewed. So you also get additional cost savings there. The fan is also very lightweight and easy to carry around. When we think of Havells we think of wires. However, lately, the company have been launching products in the consumer electronics category as well. We must say the products looks very elegantly designed and premium. This pedestal fan is made up of aluminium and steel. This makes it heavier compared to the other fans that we have reviewed so far. On the flip side use metals makes the fan more durable in the long run. The fan looks really good and well made. The finish is very detailed. This makes this product the right choice for consumers who like to impress their guests. The motor speed is 1400 RPM and comes with three-speed settings. Orient is one more company that has made quite a name itself in the fan category. We really liked this pedestal fan from Orient. The most differentiating factor of this fan is the stand. It has unique stand compared to a circular stand that all other fans we covered so far have. This standing fan has a 1300 RPM motor with 4-speed settings. It comes in a rich white colour with tiltable head and 90-degree oscillation. The fan also has a comprehensive 2-year warranty from the manufacturer. If you are looking for a powerful pedestal fan with mist spray functionality, you can go for this product. You can easily use it in open spaces like gardens or terraces. 1440 RPM power motor with the copper winding. You can adjust the vertical tilt of the fan by 30 degrees and horizontal oscillation by 120 degrees. Pedestal fans are sometimes called stand-up fans or simply just standing fans. These are electric fans mounted on a long rod. These fans have modes to oscillate their heads so that everyone sitting in the room can enjoy the cool breeze. Most modern fans nowadays are lightweight and hence can be carried from one room to another. Some of the products also have a remote control to operate them at a distance. What to look for in a pedestal fan before buying it? Movement: The next thing I would check if the radius of the sweep of the fan. To what degree can the fan oscillate horizontally. Can the fan’s head be adjusted vertically? Is the height of the stand adjustable? Each person would have a different requirement. So check if what features do you require. Weight: One of the reasons that people buy pedestal fans is to use it in multiple rooms. The fan should be lightweight so that you can easily move it around from your bedroom to the living room. Warranty: Even if you plan to use the warranty or not. Still, check what warranty does the company offer on a particular model. This shows their trust in that particular model. Say if a company is offering a warranty of 3 years on a particular fan, this means that they do not expect most products sold to develop any problem for at least 3 years to come. Maintainance: Always think of cleaning and maintain a product you consider buying it. Pedestal fans tend to pick up a lot of dust on the wings of the fan. So you should check if you can easily remove the grill of the fan to clean from inside. Also, the colour and the outside body should be such that it does not hold a lot of dust and easy to clean. Please do remember to unplug the fan before you start off cleaning it. Do not use water as it can enter the electricals of the fan and damage it. Portable & Multipurpose: The advantage of pedestal fans as against ceiling fans is that they are portable. Use this to maximize the benefits that you can extract out of the product. Think of where all you can use this fan, at home, office, your shop, garden etc. Then shortlist a product basis this. The product should be flexible enough to cover all your needs. How to select the best pedestal in India for yourself? Size of the room and number of people staying – This is an important factor to consider. You do not need an industrial grade pedestal fan if you are planning to use it in a small room. However, you will need a more powerful fan if you planning to use it on your terrace. So think about your usage and requirements and then look for the right fan for your needs. Budget – Good news is that Pedestal fans are generally not that expensive. But before you start selecting a product, always have the right budget in mind. Do not go for a really cheap product because they tend to get damaged easily. Build quality and brand – This is the most important part while selecting a pedestal fan. So, once you have finalized your budget, try and buy the best quality product you can buy inside that budget. I always suggest buying a good brand as they generally have good after-sales service. You can also find a lot of your local shops will be able to repair products which are from well-known brands. Even the parts are easily available. Performance – Always select product that works well for years. If a particular model has been on the market for years, you know it is a good product. Don’t buy fans with high-speed functionality or remote controls if you don’t need them. Buy products that you are sure will work well for years to come. Difference between Air cooler & Pedestal Fans? So a lot of people are confused if they should go for Air coolers or Pedestal fans. Both these products are compact and portable and can be moved to different areas of the house depending on where you are at the time. Air cooler use water to cool the air inside your home. 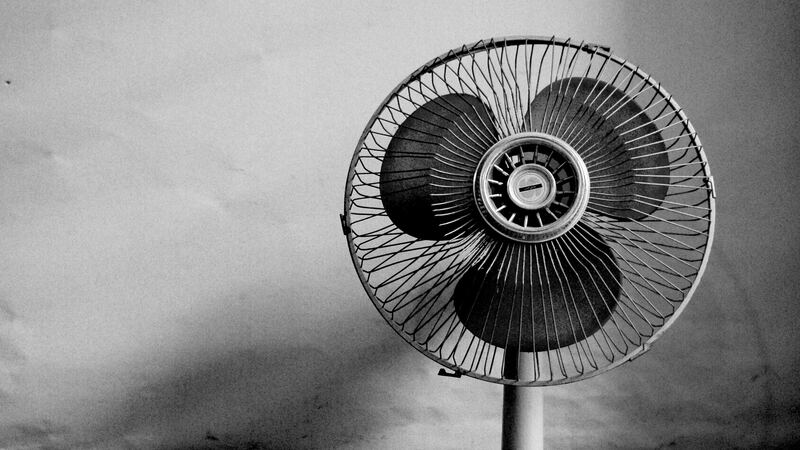 However, you might be surprised to know that a pedestal fan does not actually cool the air. It only helps in circulating the air. The air cooler is more expensive. Air cooler also uses more electricity. This is because it needs to operate an additional motor to circular air on the cooling pads. How much electricity does a Pedestal Fan use? Well, each fan will have different power consumption rates. It depends on what is the motor used inside the fan. The speed at which it operates etc. You can read more about the power consumption on each of the product details page. However, pedestal fans do use lesser electricity compared to an air cooler. Which are the best brands of Pedestal Fans in India? Gone are the days when we had only a couple of brands to choose from. Even though we still have the old brands doing well, they had to evolve fast and launch better designs to stay competitive. Out of these Usha, Crompton and Bajaj are old brands which are known for making good quality pedestal fans for years. Some of the newcomers that are now doing well in this field are Havells and V-Guard. I really hope this detailed write up on the best pedestal fans in India has helped with the need for insights to make your purchase. We urge you to do your own due diligence as well before making the purchase. Do leave comments below to let me know your purchase experience or if you would like us to include any other product in this article. What about the different types of blades which are used? There are metal blades and thick plastic ones. Which ones are more silent , less vibration, more air throw and durable ? This is based on the pedestal fans that I have seen so far. Metal blades tend to be heavier, make more noise and require more energy. While the plastic ones are more silent. The throw of the air depends mainly on the design of the blade and not on the material used.